Eugene Eisman is a physician who specializes in internal medicine and cardiology. He thanks the Powers That Be for an increase in administrative red tape, aggravation, rules, regulations and other hassles that now foist themselves between him and his patients. One of his books is a documentation of his experiences in Vietnam. In his book, Bitter Medicine: A Doctor’s Year in Vietnam, a disturbing time of contention and bitterness is recalled. This unlikely soldier earned his “street cred” as an Army doc. It is the story of a young man leaving his family and his perspective of the Vietnamese culture. 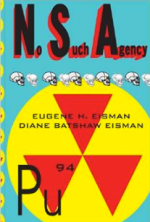 The book is humorous because humor was necessary to survive. His other interests are his wife, his daughter, his computer, installing programs on his wife’s computer as wonderful surprises for her, photography and Tae Kwon Do, where he has attained the rank of third Dan. 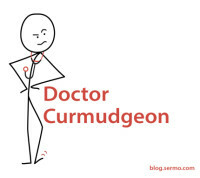 Doctor Curmudgeon® is a family physician, medical educator and voiceover artist. Back in the Neolithic ERA, the good doctor gained renown for her expertise in trephination. Now, after many centuries in practice, Doctor Curmudgeon is cranky and has rightfully earned the honorific of “Curmudgeon.” Read more from Doctor Curmudgeon or see the Doctor Curmudgeon columns on the Sermo.com blog.